Know The Gemini Man... Gemini Men's Style In Dress, Love And Life! 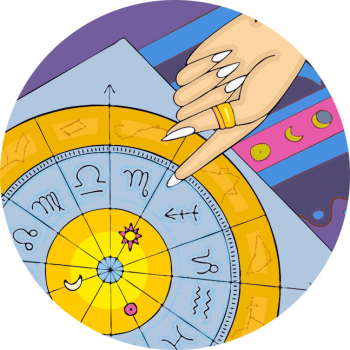 Looking at all the men’s style of the zodiac, what can we tell about Mr Gemini? The Gemini man is a live wire. Animated and pulsing with dexterous energy he’s usually on the move or engaged in an exciting ideas exchange. He loves to talk and he’ll love it all the more if you’re all ears! He also makes a skilled communicator. The late Tupac Shakur was born with the sun in conjunction with Mercury in Gemini, plus Venus, which aligned with his Aries moon. See his horoscope here. With his flair for communication and love of chatter, the Gemini man makes a great talk show host. Take Dermot O’Leary (sun, Mercury, Venus and Saturn in Gemini / moon, Jupiter in Aquarius) and Russell Brand (sun Mercury in Gemini / moon, Mars and Jupiter in Aries), who has an incredible presence in the role of presenter come comedian. Another star example of Gemini is Greg Kinnear – Libra rising, with sun, Mercury and chart ruler Venus all in Gemini. According to Wikipedia, ventured into the role of talk show host with a radio show School Daze With Greg Kinnear, before graduating with a degree in broadcast journalism. He then went on to many varies roles in TV and film, including late-night talk show Later with Greg Kinnear. He has a Leo Midheaven, which could be why his name’s always used to announce him, and starts with the first three letters ‘King’! Libra Rising Greg Kinnear – Sun, Mercury And Venus In Gemini, Leo Mc…. Paul McCartney is a another fine Gemini man. He was born with the sun, Mercury and Saturn and Uranus in the sign, and in a recent documentary was described as the curious information gatherer of The Beatles. While the other bandmates were settling down in greater London, it was Paul who kept his finger on the pulse of the music scene, picking up on new trends and delivering it back to his pals. My Gemini guy is Andy Murray, who sports Mars, Mercury and the Midheaven in the constellation of the Twins – and did you know tennis is a Gemini ruled game? Liam Neeson is Sun, Mercury and Venus in the sign, it’s his Mars in Scorpio that gives him a dangerous, investigative edge though. You will find Kanye West under my favourite male Taurus stars, as he has Venus, Mercury and Mars in the Bull’s sign, and a sun Jupiter conjunction in Gemini. Although he’s a big Gemini personality, his place is really in the Taurus category, given his three personal planets (including Venus) in Taurus. The Twins suit fabrics designed to keep them moving freely – think light knit sweaters, cotton t-shirts, sneakers and anything helping them to fly from one thing to the next. Ruler of the body as it splits into two, Gemini rules the shoulders, arms, fingers, thumbs and lungs. Also the nervous system, which is why he sometimes appears ‘edgy’. Mr. Gemini can highlight his frame and long animated arms with vest tops. He’ll often have defined upper arms and noticeable shoulders.